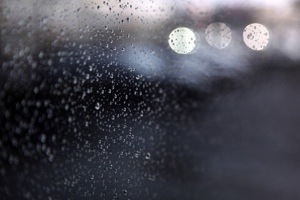 I am listening to the sound of falling rain right now. It’s been pouring for most of the evening. Now, in many ways this is unremarkable – it’s raining in Ontario in the month of April…so what? But after the worst winter these parts have seen in a couple of decades, the rain is welcome. It’s a sign, you see. A sign that the weather is growing warmer. That Spring is slowly unfurling its wings. That Summer is also on it’s way. It’s also something to be cherished. My trip to Israel taught me a little bit about what life is like in a desert – how very precious water is, and how easily taken for granted in the part of the world I live in. And there is that old saying that April showers being May flowers. Right this moment, there are bulbs and seeds in the ground that are fed by the water, falling as rain, that is making the car tires hiss on the pavement outside my house. This very instant something that was dead and buried is working its way towards life. It’s happening right now. And if we are patient long enough, we will get to celebrate and enjoy that new life during warmer days. That’s kind of how I feel about Lent. The waiting can seem so very long. 40 days is no small stretch of time. But right now we are making our way toward Easter. Though we might mourn right now, we are moving toward a season of dancing. Sometimes the waiting can seem so long. I cannot imagine how it must have been for the disciples on that terrible dark Saturday before the tomb was emptied, before the saviour rose to new life, before the story had its life-changing ending. But the waiting is necessary. It is what makes it possible for new life to begin. There is always a gestation period. So may you find some patience in times of waiting. May you wait actively – hoping and yearning for the new life that even now is pushing it’s way to the surface of your life. And may you know that Jesus is with you in the waiting.